CDS 1 2019 written exam was conducted by UPSC on 03rd Feb 2019, Sunday for defense aspirants who want to join the IMA, OTA, AFA and INA. Lakhs of Indian aspirants attended the CDS 1 2019 written exam to join Indian Army (IMA/OTA), Navy(NA) and Air Force (AFA) as an officer. 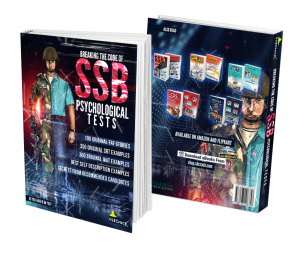 According to the candidates, who have attempted the CDS 1 2019 exam reported that General Knowledge paper was very difficult and the question might have come out of syllabus, this time UPSC has totally changed the blueprint of CDS GS paper which made it very tough. CDS 1 2019 mathematics paper was lengthy and above average. English paper was moderate and doable. If you are looking for CDS 1 2019 question papers, you can download them from below as we are updating them. We are updating the correct CDS 1 2019 original question papers with the answer keys for the aspirants who are preparing for the CDS exam. Also, check CDS 1 2019 answer keys here. 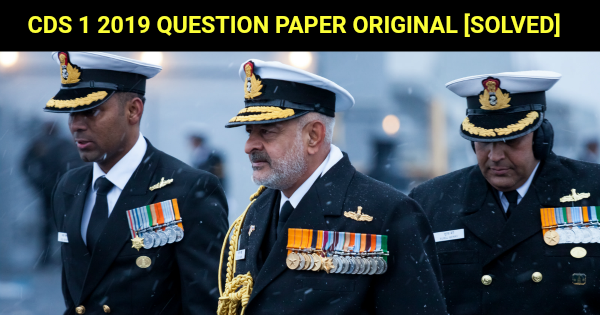 CDS 1 2019 Question Paper Analysis: This time CDS 1 2019 GK paper was the toughest, aspirants who have cleared the CDS few times have expressed their opinion on the GS paper being too tough for the defence aspirants, they say that UPSC has unnecessarily increased the level of CDS question papers which is now similar to the level of civil services exams. CDS 1 2019 Maths paper was lengthy and above average, there are questions which took a lot of time to solve, keeping the duration in mind, it was a challenging task. CDS 1 2019 English question paper was a bit easy comparatively.